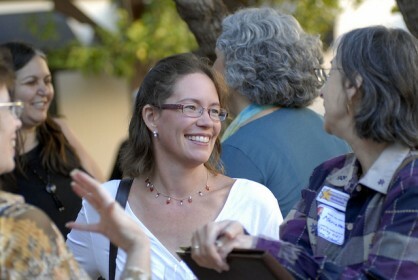 Women’s business networks are thriving. There have never been more and they’ve never been more in demand. And there’s a very good reason: most women in business find that other women in the same position are their most valuable form of support, inspiration and business connections. If you’re not already a member of a network, maybe now is the time to give it a go? Networks vary in their approach and atmosphere and you might need to try a few before you find the one that’s right for you. Most charge fairly modest fees, but some referral networks can be very pricey; be sure that this approach to networking is right for your business and go along as a guest a couple of times before you sign-up. Below we’ve listed a wide range of women’s business networks across the UK and also a few networks in other countries. All of those groups have regular local meetings. For up-to-date information about locations, events and fees click through to the website of the network you’re interested in. Association of Scottish Businesswomen The umbrella organisation for business and professional women’s clubs throughout Scotland. Business Women’s Link is a friendly network of women who both working for themselves or as part of a larger organisation. Regular social and corporate events across Lincolnshire and the East Midlands. Business Babble passionately supports and empowers women in business in the Royston and Hitchin areas (Hertfordshire). Fun, friendly and affordable. Look on www.businessbabble.net for details and keep an eye for more Babble groups coming soon. Cambridge Businesswomen’s Network Monthly meetings are open to women from all sectors of the business community and professions, small businesses and start ups to corporates. East London Creative Women Business Network Peer to peer network set up to grow and sustain women business leaders in the arts & creative sectors in East London, meets monthly. Free/ minimal cost. Fabulous Women “To inspire, inform and motivate women in life and in business.” Meetings in Surrey, London, home counties. Flying Start offers women in Birmingham specialist social enterprise business support through masterclasses, mentoring, peer support and 1-1 advice. Network meetings are held in Digbeth, Birmingham. Forward Ladies Networking events for women in business across the North of England. Over 350 events a year. Handbags and briefcases. Monthly events for members and guests in south Manchester (Wythenshawe, Timperley and Altrincham). Training and support for fledgling and growing female entrepreneurs. Highflying Divas A not-for-profit mentoring forum for professional women in their own business or a career, with meetings in Essex and London. Networking Women is a collaborative organisation offering networking opportunities for women running small businesses in Oxfordshire, Wiltshire and Gloucestershire. Norwich Business Women’s Network Friendly monthly business networking for businesswomen and women in corporate roles in Norwich and Norfolk. Rural Women’s Network A network of 10 women’s business networks across Cumbria. Sapphire, Hertfordshire. A supportive and learning environment, with networking, individual coaching and access to Wenta’s award-winning training courses and online business advice. Stroud Businesswomen’s Network offers businesswomen across Gloucestershire the opportunity to network, share information, exchange ideas and tap into local resources at informal, friendly and welcoming meetings, attracting more than 60 women every month. Not-for-profit organisation. Surrey Chambers Business Women hold regular meetings in and around Surrey and celebrates business women in the county and beyond. Sussex Women In Business Sussex Women in Business is a not-for-profit, non-political, voluntary network for women in business. The Athena Network A national referrals focused network which is managed by local franchisees. The Women in Business Network A referrals based network, which has around 70 groups managed by local franchisees. 1230 The Women’s Company London and Kent. Franchise based networking meetings and events. Vale Women’s Business Network For women in the Vale of Glamorgan, South Wales. WiRE Women in Rural Enterprise – the national business club for rural women in business. Women in Business Hull is a networking organisation for decision-making women in Hull, East Yorkshire and North/North East Lincolnshire. Women in Business NI Network for women in business across Northern Ireland. Women in Business (NW) Networking, training and awards for women in the Merseyside area. Women in Management network (WiM) offers a varied programme of events across the UK. WiM London regularly hosts events in the City encouraging the discussion of issues affecting the women managers of today and the future. Women Mean Biz For professional women in Bristol, Bath and North Somerset. WIN Networking events and awards for women in the North East of England. Women Outside The Box Business Club for freelancers, entrepreneurs and corporate women runs monthly in Bristol for training and networking. Festival of female entrepreneurship in October each year. Women Unlimited Events and workshops for women in the London area. Women What Do Hartlepool based network for women who are starting or run their own business, freelancers and third sector female leaders. Women’s Business Zone Networking groups and business support for women in York, Selby and Northallerton. Canada – Company of Women is an organization that connects and supports women in business. We provide monthly events in seven cities across Canada, as well as an annual conference and online publications. Canada and Ireland – The Women’s Executive Network (WXN) hosts professional development and networking events in 8 cities including Toronto, Mississauga, Richmond Hill, Ottawa, Montreal, Vancouver, Calgary and Edmonton, as well as in Dublin, Ireland. We’re keen to make the Listings even more comprehensive: if you run a network and would like to be added to the Prowess Women’s Business Networks Listing, please get in touch. For tips on how to enjoy networking and get the most out of it, read this great article: How to network.